A recent article in the Atlanta Journal Constitution reports that bed bugs are growing into more of a problem in Atlanta, Georgia. The AJC reports that according to the latest figures, Atlanta ranks number 21 of the top 50 cities that have bed bugs the most. That’s up from No. 45 as of a couple years ago. Overall, a professional extermination company that regularly treats bedbugs was interviewed by the AJC and stated that they saw over a 30 percent increase in bed bug business between 2010 and 2011. The AJC also reported that exterminators stated that the top two bed bug cities the second year in a row were Cincinnati and Chicago, respectively. Also included in the top 10 were Detroit, Denver, Los Angeles, Columbus, Ohio, Dallas/Fort Worth, New York and Richmond/Petersburg, Va., respectively. Entomologists who treat bed bugs state that cities with busy airports such as Atlanta may see increased bed bug problems because of increased travel along with the bed bug population increasing over all. Williams Oinonen LLC has dealt with many bed bug clientele in Georgia and reports also having seen an increase in bed bug clients over the past year. As professional exterminators will acknowledge, bed bugs do not discriminate between 5-star and 1-star apartment complexes and hotels. Both can have them. However, Williams Oinonen LLC reports that in general, some of the more high-end hotels are quicker to properly respond to bed bug complaints whereas lower star hotels can sometimes be more egregious in their conduct at times. 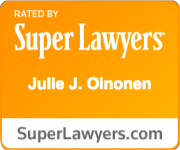 Regarding apartment complexes however, Williams Oinonen LLC states that unfortunately, our law firm has seen both property owners in luxury style complexes as well as landlords in low income housing fail to respond to tenants complaints properly. 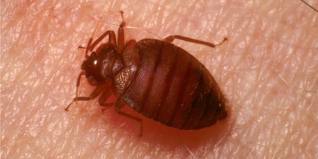 Williams Oinonen LLC advises travelers to look for signs of bed bugs such as tiny rust-colored spots on bed sheets, underneath the mattress, and the sides of mattresses prior to bringing the luggage into their room. Also, while not a guarantee, it can’t hurt to ask the hotel staff whether they are aware of previous bed bug complaints. If they say yes, consider checking into another hotel. While hotels will generally not volunteer such information, sometimes you can encounter a truthful staff employee while others will deliberately hide and deny a known bed bug problem. Once you have carefully inspected a room and bring your suitcases inside, rather than putting suitcases and clothes on the bed, inside dressers, or hotel couches, keep luggage and clothing on the luggage racks, and put all clothing in the dryer for at least 15 minutes on the highest setting after returning home. For more information from our law firm, read here on dealing with a bed bug issue.